“Judicial System Resources: More Fun and Better Understanding in the Critical Thinking Classroom,” Inquiry: Critical Thinking Across the Disciplines, forthcoming. “The Culture of Moral Responsibility,” Southwest Philosophy Review, Volume 30, Number 1 (January, 2014): 3-17. “Free Will vs. Determinism,” in The Encyclopedia of Clinical Psychology (Wiley-Blackwell, 2014). “The Scientific Naturalist Case Against Moral Responsibility,” Behavior and Philosophy, Volume 41 (2014): 27-36. 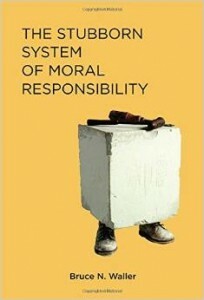 “The Stubborn Illusion of Moral Responsibility,” in The Illusion of Free Will and Moral Responsibility, edited by Gregg Caruso (Lexington Books, 2013).